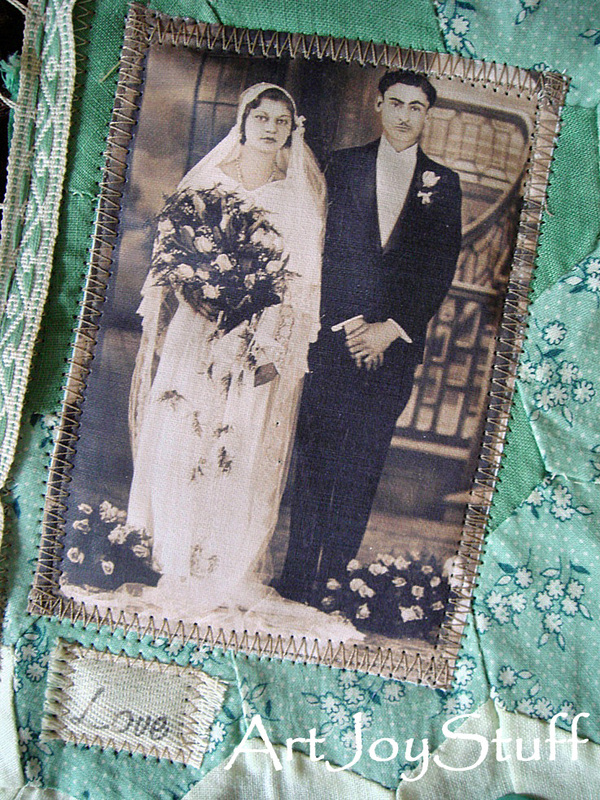 my maternal grandparents on their wedding day in the 1930s. 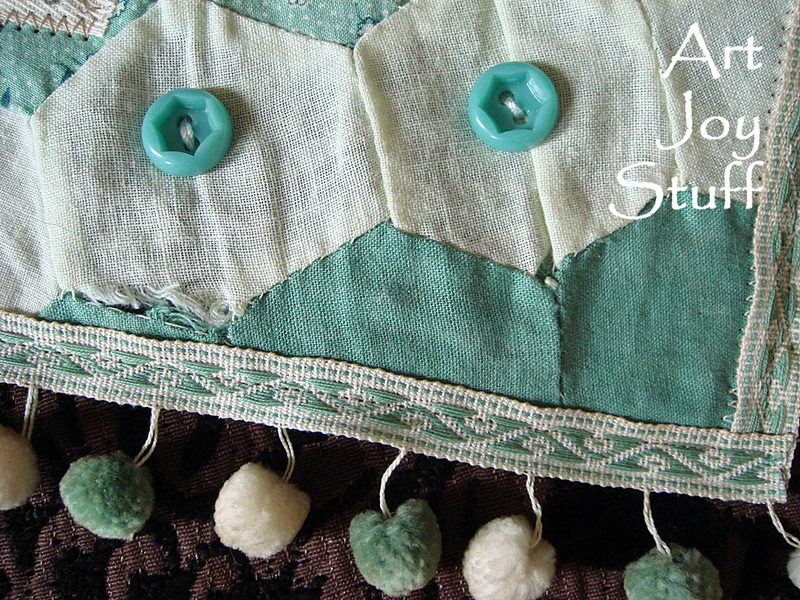 I am guessing that the fabrics, buttons and pom-pom trim are all from the 1940s. Be sure to visit all of the other Green Goodness! Beautiful, Kimberly! 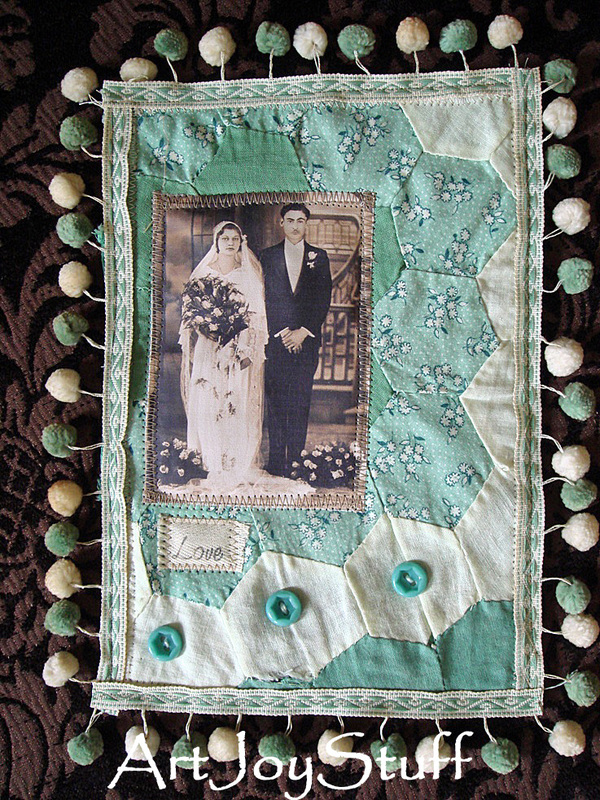 I love that you have used an old patchwork piece to put the picture of your grandparents on. Lush pom-poms! This is a gorgeous tribute to your grandparents! Using the quilt piece for a background was a fabulous idea, it looks amazing. What a lovely composition. And the pom poms are gorgeous and fun! This is stunningly lovely! You do such beautiful work! This is lovely. I love the picture, it is alwqys so nice to use a personal vintaqe photo. I wish I had photos of my family from past times. I find it very sweet and very interesting. Nice work. What a wonderful piece and tribute to your grandparents.